In a culture where the landscape is dotted with shrines to the Golden Arches and an assortment of pizza temples, fasting seems out of place, out of step. Why would anyone want to abstain from food unless it was for health purposes or for losing weight? If we were truly made in the image of God, then we must believe that He made our bodies to need and even desire food. If that is the case, then fasting would not only seem counter-intuitive, but unhealthy, unless there is another, more important reason to fast. A good place to start is the Bible. In it we see record that fasting is a frequently mentioned practice. It was not only oft-mentioned, but regularly practiced by Biblical pillars like Moses, Elijah, Esther and Paul. Even Jesus, God-incarnate, not only encouraged it, He also practiced it. If God Himself considered it important than why don’t we? If our Savior and Lord encouraged His disciples to practice it, then it must be important. It must have spiritual benefits that supersede health and diet. Understanding that we are not only physical beings, but we are also spiritual beings, made in the image of God. Because of that we not only need to feed the physical part of us, we also need to feed the spiritual part. How are you feeding your spiritual body? Could fasting be another way of doing just that? · Why do you think Jesus and other Biblical leaders regularly practiced fasting? 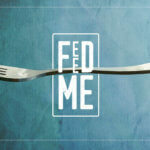 · Do you think fasting should be a regular practice in our lives? Why or why not? · What types of situations would/have prompt(ed) you to fast? “Faith is the assurance of things hoped for, the conviction of things unseen” (Hebrews 11:1). If fasting is something we want to know more about, what better way to understand it than to take a step of faith and practice it? Set aside a time when you can safely abstain from food and drink (other than water) and ask God to teach you why fasting is an important part of your spiritual journey.